As our Year 12s head into ATAR exam rooms or out into the school free zone I am aware that they are heading into the most risky time of their lives. The last In Focus Careers Newsletter for the year has just been released with lots of information for school leavers. Contact me for a complimentary copy. Categories: Career Advice, Senior school, Vocational Education and Training, Year 10, Year 12 | Tags: Leaving school | Permalink. Leaving school early IS AN OPTION. It does NOT mean you will never get a job, or that you will live on the streets for the rest of your life. School isn’t for everyone. It makes some people’s lives a total misery. In Western Australia the government requires students to get special permission to leave school early by applying for a Notice of Arrangement. You can find details of that HERE. Once you have made up your mind to leave it is difficult to change your mind. As soon as you start thinking of leaving talk to a career advisor. There may be alternatives that they can offer through the school or they may be able to organise a smooth transition from school for you. Once you leave school people who can help you get limited funding so their capacity to help is limited. Stick with your school and get as much FREE help as possible before you leave. Getting help with your resume is a good start. If you haven’t got a job lined up or a course to go into you may need help to get that sorted. Many schools have the Career Voyage program that will help you to nail down a career direction for the near future. If you don’t have access to Career Voyage at school you can do the quiz at one of the Careers Centres in Perth or regional centres or contact them online. I have done this Coggle brainstorm of a bunch of places you can check out to narrow down what you like. Email me Bev.J@infocus-careers.com.au if you would like access to the Coggle map so that you can just click on the links. Look at the available options for completing Year 12 in another setting like Cyril Jackson, Canning, North Lake, Seven Oaks and Tuart Colleges. There are adult students at these colleges and you may find that suits your style. You can also study your WACE through the School of Isolated and Distance Education. You can get free information and advice from each of these schools. The Certificate of General Education for Adults is a good non-WACE starting point for people who don’t want to finish school. There are three levels, certificates I – III. Choose the one that suits your needs. This certificate often has literacy and numeracy support which can kick start your study in another area. Different colleges will allow you to explore different subject opportunities as part of your study. TAFE colleges give you access to ongoing support from careers advisors. You can build your employability skills and explore career options through Foundation Skills Course. Check out the list of Foundation Skills courses HERE. There are equity courses that support people with disability and people seeking courses that are aligned with their culture; for example, a qualification specialising in Indigenous Australian tourism. Check the list of courses HERE and ask about opportunities at one of the Jobs and Skills Centres – scroll down this page to find the one nearest to you. If you can find someone who is willing to take you on as an apprentice or trainee, you are on a great path. You can find apprenticeship and traineeship opportunities through Seek and Indeed. Getting an apprenticeship or traineeship is just like looking for any other job. You need to find the opportunity first, then convince the employer that you would be a great employee. You will need a good resume as a starting point. Youth Central gives good advice to school leavers on how to write a resume. When you do an apprenticeship or traineeship qualification you need to sign up so that your training is recognised. You sign up at an Australian Apprentice Support provider. You can find one HERE. The help that they give will not be as good as the help you can get at school so it is best to try to find an apprenticeship and to contact a provider through your careers advisor. You may be eligible for Youth Allowance. This is hard to get but it is worth checking to see if you qualify HERE. If you qualify for income support you can also get help from JobActive. You find an Employment Service Provider near you and they will do what they can to help you to find a job. Employment Service Providers are not well funded and their capacity to give you help is limited. You will probably get more help from school. The My Skills website is a directory of vocational education and training (VET) organisations and courses. Job Jumpstart has an I’m At School section to help students prepare to leave school. If you want to leave school and still want to go to uni you can find Alternative Pathways to Uni HERE. Leaving school early IS AN OPTION. Leaving school is however risky, and there is a chance you could fall into a hole without a safety net. The suggestions to help you to leave school early are easier to do with the help of a careers advisor. If you can’t get help at school, go to one of the alternative schools or TAFE colleges or even a uni, to get free advice or pay a professional career advisor to help to set you onto the right path. That help could put you onto the perfect path to your school free future. Categories: Career Advice, Parents, Vocational Education and Training, Year 10, Year 11, Year 12 | Permalink. There is a media training college in Perth that always looks fantastic at the Career Expo. They have lights and music and glossy brochures and friendly sales staff. Their exhibit is always busy. I don’t know if they have great tutors or fantastic links with industry, or if their graduates get jobs… but they get a crowd at the Expo. And their courses are expensive. School students don’t worry about what a course will cost. It is easy to be sucked in by the big, shiny, fun college pitch from professional sales people. SIGN UP FOR YOUR DEBT HERE!! Time to wise up…. a HECS debt for a bad course choice is no fun!! Check out who is going to be at the Expo. Scroll to the bottom of THIS PAGE to see who will be there. Pick three (3) exhibitors that you should see from the 50+ on this list. Make this decision based on what you are interested in BEFORE you see the great displays and friendly salespeople at the Expo. Also choose an exhibit that could be fun… even though you don’t want to take their course. You may want to know about being a pilot, or studying in Tasmania… even though you don’t seriously want to follow those paths. Plan 3 questions that you will ask each exhibitor. IF YOU ARE GOING TO SPEND $$THOUSANDS$$ ON A COURSE YOU NEED TO CHECK OUT WHAT YOU ARE GETTING FOR YOUR MONEY!! You can find out the cost of the course, how long it takes and what the entry requirements are online… or you can ask the salesperson. For contacts with a current students. What they look for when employing staff. If they have links with industry that provides work placement. How long it takes their graduates to get a job in the industry. What sort of work graduates get. Go to see your career advisor. They will point you in the right direction. If you don’t have access to free career advice, pay someone. It could save you a bucket of money. Categories: Career Advice, Expo, Year 10, Year 11 | Permalink. Parents and students get REALLY STRESSED about subject selections for Year 11. Before you start, know that only one in four university students get a place through the ATAR pathway. A report from the Mitchell Institute published on 21st March identified that 26% of university students got their place via an ATAR pathway. The School Curriculum and Standards Authority (SCASA) is THE mob that makes up the rules about WACE. The first place to find information about Year 11 and 12 is in the official Year 10 Information Handbook which SCASA puts out. If you can’t find the information you need or if you are unclear on anything contact them at info@scsa.wa.edu.au. There will be a new edition of this Handbook out in Term 2. You need to have some idea about what career direction you would like to take. I have done this Coggle brain storm of a bunch of places you can check out to narrow down what you like. STEP 3 Do You Want to do ATAR?? ensure students don’t fail when they get there. Universities are looking for alternative pathways more than schools and parents. READ ABOUT THE ALTERNATIVE PATHWAYS IN WESTERN AUSTRALIA HERE. TAFE has always been more flexible with its pathways to learning than universities and there is a huge range of possible pathways offered. These new Jobs and Skills Centres are to open on 16th April in the Metro area and regional TAFE colleges also provide career advice. Last year the Career Development Association put on a webinar delivered by Ivan Neville, from the Commonwealth Department of Employment. He said…. You really need to get a year 12 qualification, or equivalent, to get a job….. But there isn’t much difference in employment outcomes between a degree (3.6%) and a Cert III (4.1%). The opening of university entry to a wider audience had resulted in a shift towards degrees and away from vocational education since 2008. There are now stronger job outcomes for apprentices and trainees than people with degrees. There are lots of courses that have RECOMMENDED subjects, but not so many have definite PRE-REQUISITES that MUST be done as a WACE subject in order to get into a course. There are lots of pathways into further study and your WACE pathway is just one of them. Even the Medicine Faculty at Curtin, which has one of the hardest courses to get into, has suggested that you contact them if you haven’t done WACE chemistry and still want to apply. The most direct pathway is however, to take subjects that the universities are looking for. So, once you have narrowed down a career direction to take, check out the TISC University Admissions Handbook. It identifies what WACE subjects you should take to keep your options open. The Online Literacy and Numeracy Assessment (OLNA) is the minimum WACE requirement reading, writing and numeracy. It is usually done in 10 but there are more opportunities to sit the Assessment in Year 11 and 12 and even AFTER Year 12. If I have seen further than others it is by standing on the shoulders of giants. Stand on the shoulders of your career advisors. Build from their knowledge to design your ideal career pathway. If you don’t have access to a specialist career advisor at your school, go to a TAFE college or private careers consultant to be sure your next step is the right one. Categories: Alternative Entry to Uni, Career Advice, Senior school, Year 10, Year 11 | Permalink. Year 10 can be an amazing experience… or you can be bored silly. In a few weeks you will be asked to make your subject choices for Year 11. It is hard to make those decisions based on limited experiences. Year 10 is a time GO HARD, to unearth your uniqueness. playing a bit of sport…. You need to do more than that in Year 10. Research your space? Who is in it? What do you like about them? That’s the place for you to start exploring from. You can map your current world on a free Coggle mindmap. Once you have mapped your patch use each branch on your map to dream up ideas to play with. Pick the best of those ideas to make a list of things that will make Year 10 amazing. Get your diary and plan WHEN you are going to do your top 10 ideas. This is your plan for making Year 10 AMAZING. Ask for help so that you give yourself every chance to have an amazing year. Email me if you can’t find someone to help you to make your plan. Subscribe to the monthly In Focus Careers Newsletter to find new opportunities as they come up. You can discover lots of Year 10 opportunities here. You can explore upper school subject choices here. You can make your study time more efficient by finding out your learning style. 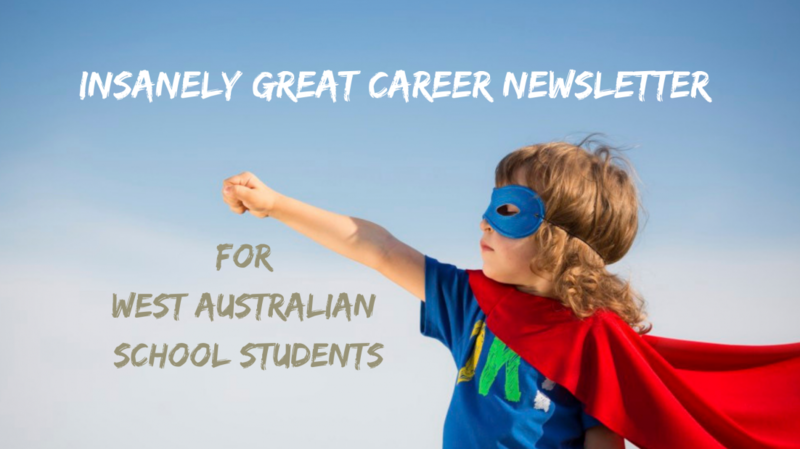 Categories: Career Advice, Careers Newsletter, Parents, Planning, Senior school, Year 10 | Permalink. Why do you love learning sometimes but can’t remember a thing at others? Why do some people annoy the hell out of you while you love working with others? This quiz will help you to find the answers to these questions so that you can adjust your learning strategies AND start to show love and understanding for the idiots who don’t do it your way!!! 1 I easily make new friends. 2 At parties or gatherings, I feel energised and have fun. 3 I like groups of people. 4 It is easy for me to talk to strangers. 5 In social groups, I easily keep up with news or gossip about other people. 6 I am rather shy and quiet most of the time. 7 I like to have friendships with just a few people. 8 It is hard for most people to get to know me. 9 People view me as quiet more than sociable. 10 In a large group, I listen rather than speak unless I know the people well. If you have a high extroversion score you probably enjoy talking about your thoughts and ideas. If you have a high introvert score you might like to study independently. Debating your ideas in a group is NOT your ideal way of learning. A balanced score shows that you are capable of working in both ways depending on your situation. 1 I remember things better if I write them down. 2 I take lots of notes. 3 I can visualise pictures, numbers, words, or pages in my head. 4 I get distracted by background noise. 5 I have to look at someone to focus on what they are saying. 6 I remember things better if I discuss them with someone. 7 I prefer listening to a lecture rather to reading a textbook. 8 I can easily follow a speaker even if I don’t see him or her. 9 I remember better what people say than what they look like. 10 I remember jokes that I hear. 11 I don’t like to listen to or read directions; I’d rather just start doing things. 12 I like building or making things. 13 I like frequent breaks. 14 I think better when I can move around and when I don’t have to sit at a desk. 15 I use my fingers to count and/or move my lips when I read. You will have some strength in each area. This quiz may help you to understand whether you prefer watching, listening or doing. 1 I have a good imagination. 2 I like to come up with new ideas or options. 3 Step-by-step learning often bores me. 4 I like to work out the major principles that might not be clear at first, rather than being told. 5 I consider myself original and creative. 6 I am a practical, realistic person. 7 I am attracted to sensible people. 8 I like things presented in a step by step way. 9 I like concrete facts, not speculation or hidden meanings. 10 I prefer to avoid too many options from which to choose. You enjoy playing with ideas and enjoy theoretical thinking. Intuitive learners can be random in their approach to learning and will flick from one website, conversation or information source to another, picking up snippets from each rather than following step by step instructions. Sequential learners are likely to prefer step-by-step logical activities. You prefer to take a course to learn rather than guessing and learning in a random way. Casual skipping across topics frustrates you. Choose your style and use it to make your learning faster and more fun. 1 I reach decisions quickly. 2 I am an organised and punctual person. 3 I make lists of things that I need to do, and I generally follow through. 4 If I’m going somewhere, I like to plan in advance what I will be doing and approximately when. 5 I start early so that I can finish before the deadline. 6 I put off making decisions as long as I reasonably can. 7 I am a spontaneous person and do not like to plan ahead too much. 8 Lists of tasks and deadlines depress me. 9 I keep an open mind about things. 10 I like to just let things happen. This indicates how quickly you need to reach decisions and finish tasks. If you have a high closure score you focus on tasks, meet deadlines, plan ahead for assignments, want explicit instructions, and ask for clear direction. A high Openness score indicates how much you need to delay reaching decisions and finishing tasks. You enjoy “discovery learning” in which you pick up information on your own, and you prefer to relax and play with ideas without much concern for deadlines or planning ahead. If you are too closed you may make decisions too quickly and find later that it was the wrong decision. If you are too open you may never finish anything or get work done on time. 1 Essays and tests are easier for me than multiple-choice. 2 When I am studying, I look for similarities rather than differences. 3 I like getting the big picture before getting the details. 4 I enjoy summarising and synthesising. 5 Too many details tend to confuse me. 6 I like to see details before seeing the whole thing. 7 I like to break things down into pieces so I can understand them. 8 In taking on anything new, I look for differences rather than similarities. 10 I use logical thinking to solve problems. If you are more global, you enjoy getting the main idea of a subject. You like to know where a lesson or idea is heading before you fill in the details. If you are not told where the lesson is going you will guess what the point is, then check your assumption throughout the lesson. If you are more analytic, you might feel less comfortable with big picture techniques and want the team or author to get on with it rather than generally exploring a subject. A balance between these indicates you have the capacity to see the big picture AND to analyse details in a manner that identifies details. MY LEARNING STYLE: I am an extrovert who loves learning by talking. Learning in a group is great for me. I am intuitive so love throwing around ideas before settling on an answer. I am happy to leave a decision open so can end up being rushed if I don’t give myself plenty of time. Overall I like to get a global idea of a problem so need to work with people who will pull me back to analysing details. For help unearthing your great adventure … or if you need to get your dream happening contact me at Bev.J@infocus-careers.com.au or phone me on M:0434056412. Categories: Career Advice, Senior school, Teaching Resources and Research, Year 10 | Tags: Learning styles | Permalink. You need to get out more!! School is a safe zone. You can get out, meet people and try stuff using that safe zone as your base. The Eco Challenge is a free online UN Environment Programme game organised in Australia by Curtin Uni. There are two players per team and they play to align the demands of government, commerce, health and industry to manage a water supply. The competition is structured in two tiers – national and international. Teams are ranked nationally and top teams will be acknowledged in the international competition. It is possible to play quickly as a beginner and gradually learn how to play a more skilled game. The platform is designed to provide the full careers program (including its mapping to the Australian Curriculum) for teachers to adapt to their classroom context. WOW’s online careers education platform and resources can be accessed here. your students $20 of start-up money to create their own business. The STARportal has almost 200 STEM opportunities for K-12 students in Western Australia. Rotary is looking for students between the ages of 15 and 18 who will apply for the opportunity to travel overseas, stay with a family and experience a different culture and lifestyle. At the same time they will be informing their host community of the Australian way of life and building better international understanding and goodwill. Exchange students in 2019 may reside in Argentina, Belgium, Brazil, Denmark including Iceland, Finland including Estonia, France, Germany, Japan, Norway, Sweden, Switzerland, Taiwan, Spain, Poland, Thailand, South Korea, USA, Peru or Italy. A great way of getting skills and broadening your experience is via a cadet program. Secondary school students who join a cadet program typically undertake adventurous training, camping, hiking, sporting activities and exercise their leadership potential. Find out more about Cadet WA programs HERE. Each year, the Foundation for Young Australians recognise and celebrate the genuine impact young people have made to the biggest social and economic challenges of our time. The annual Unleashed Awards honour their incredible contribution to our world with a night of music, celebration, and speakers at Australia’s premier social change awards for young people. The Jump Start Award and Rookie of the Year Award (Years 7 – 10) are both aimed at younger kids. Nominate before September 10 for 2017 HERE. Spark_Lab brings students and teachers up close and personal with contemporary artists, dancers, theatre makers, musicians and innovators across a wide range of disciplines through an exciting program of events, activities and online resources.For more information and bookings, contact Education Programs Curator Minaxi May via info@pica.org.au or 9228 6300. HackED is run by LandGate (government department) to support the development of creative ICT skills by high school students who mashup location based information to provide new information. A video on an earlier HackEDs can be seen HERE. Western Australian universities have collaborated with ConnocoPhillips to design and deliver a wide range of fascinating science activities under the guidance of scientists who love their work. RoboCupJunior fosters Artificial Intelligence (AI) and robotics research by providing a standard problem where a wide range of technologies can be integrated and examined. The ultimate goal of RoboCup is that by the middle of the 21st century, a team of fully autonomous humanoid robot soccer players shall play (and win!) a soccer game against the (human) world champions. For more information go HERE. Young ICT Explorers is a non-profit competition, which has been created by SAP to encourage school students to create their best Information and communication Technology (ICT) related projects. FIRST Robotics Competition brings together students and mentors to build robots that perform in a competitive but gracious environment against teams from all over the world. Today’s kids and their ideas for today and tomorrow will change the game as we know it. The purpose of Game Changer Awards is to inspire and enable youth to build their dreams and creations through an environment that rewards ideas, imagination and a dare-to-try attitude using a wide range of digital technologies. We are looking for entries from both primary and secondary schools classes. For information go HERE. This FREE program engages volunteer UWA science and maths students who work on projects with high school students to help build a deep understanding of maths and science. Find out more here. CoderDojo WA is a network of coding clubs (Dojos) throughout Western Australia. Dojos provide fun, free and social open learning environments where young people can meet others with similar interests, develop 21st century skills and build creative projects of their own choice using digital technology. Find out more HERE. Keep up with opportunities to co-create your future. Subscribe to the Careers Newsletter. You can subscribe to the Careers Newsletter HERE. Categories: 21st Century Careers, Parents, Senior school, Teaching Resources and Research, Year 10 | Permalink.